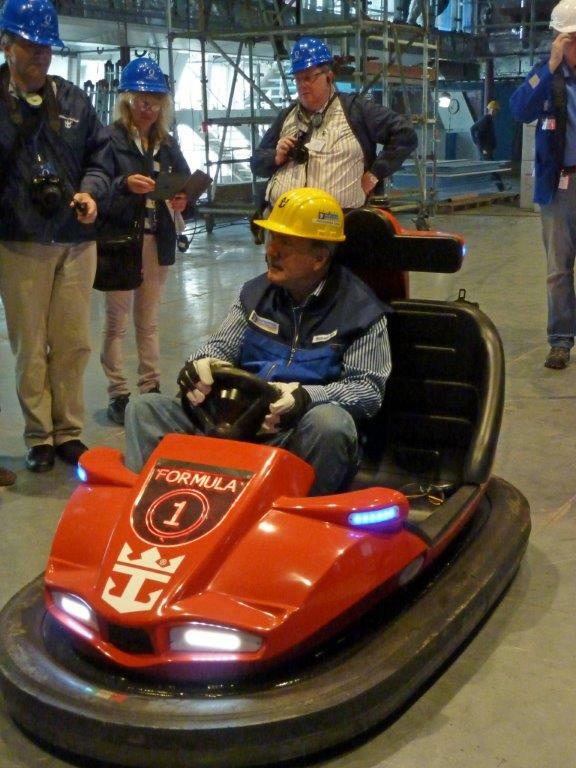 Gilly Pickup was invited to visit Royal Caribbean International’s new Quantum-class ships Quantum and Anthem in Meyer Werft shipyard, Papenburg, Germany. Read on for behind the scenes news and images ……..
Quantum-class ships will feature 2090 of Royal Caribbean’s largest and most advanced staterooms - 1571 balcony, 148 outside and 34 wheelchair accessible. 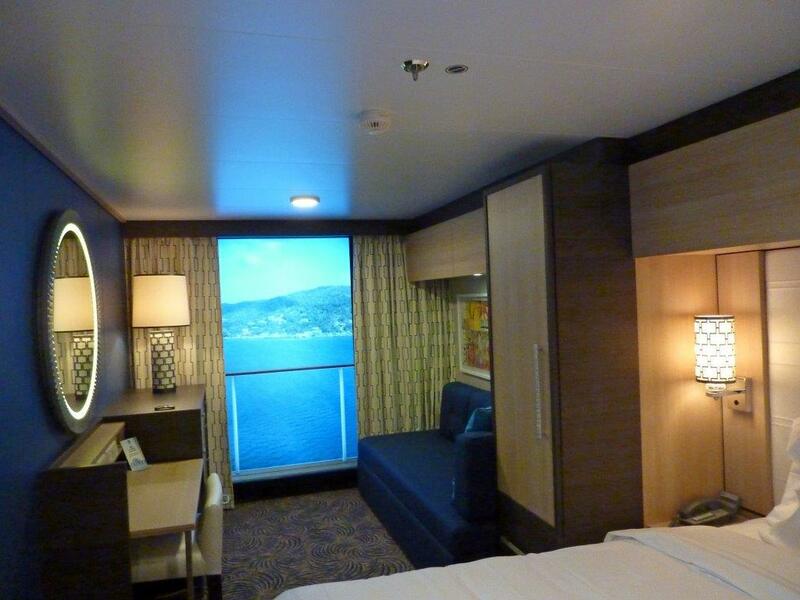 One particular highlight is the 375 Virtual Balcony interior staterooms. 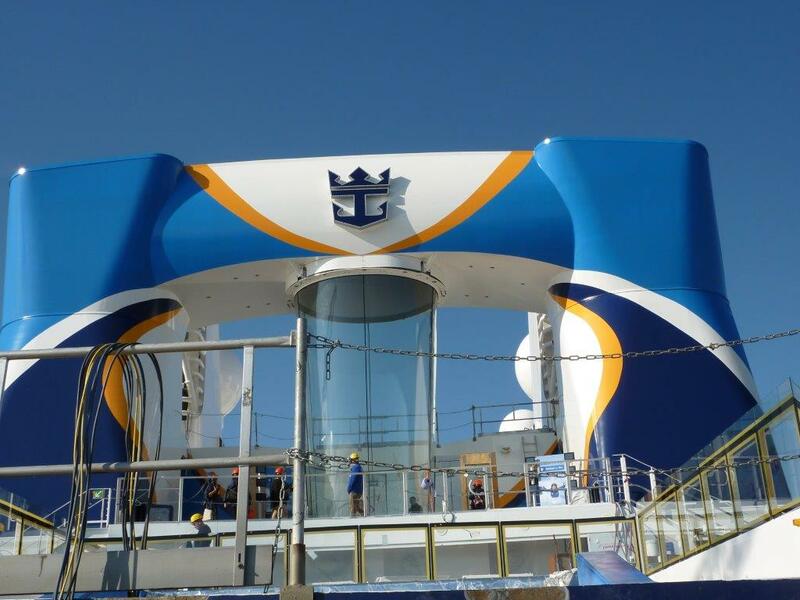 As the name suggests, these offer expansive real-time views of the ocean and destinations through virtual balconies. Two-storey loft suites come with a private balcony and windows that are double in height. 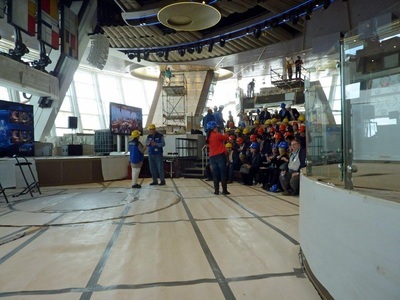 Eating is always an important part of the cruise experience and Royal Caribbean’s Quantum class has pulled out all the stops on their latest vessels to ensure guests have fantastic dining experiences on board. There are 18 restaurants, though don’t expect to see a gigantic double or triple storey main dining room here, instead there are five complimentary main restaurants, each with its own distinctive menu. 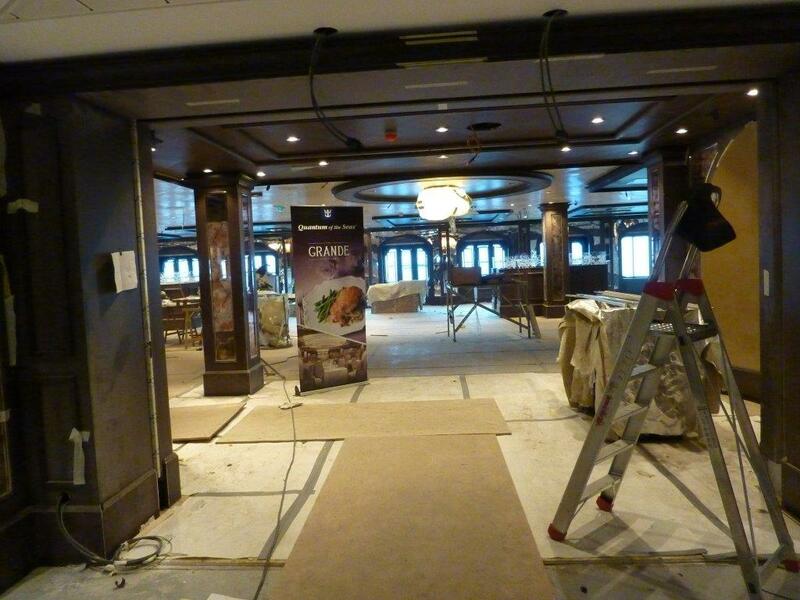 These include Silk, which serves Pan-Asian food and The Grande, a European style venue seating 430 guests. A break from tradition is that there will be no formal nights on board. However, at The Grande guests can dress to impress every night if they want to, while enjoying complimentary lobster. Restaurants where a supplement is payable include Jamie’s Italian, celebrity chef Jamie Oliver’s first restaurant at sea and the100 guest capacity dinner venue, Chops Grille. Laid back, round-the-clock, complimentary dining options are available too such as the 800+ seat Windjammer buffet, already familiar to those who have sailed with Royal Caribbean and another first at sea, the SeaPlex Dog House, which is a food truck (the ‘dog’ in the title referring to that all-time American favourite, hotdogs). The Bionic Bar meanwhile, is the first bar with robot bartenders not just at sea, but anywhere in the world. This interactive experience is where guests order via tablets and then watch the robot bartenders mixing and delivering cocktails. • Lounge Two70° , an entertainment venue featuring high flying aerialists and performers has capacity for 540 guests. It is named for its 270-degree panoramic views through floor-to-ceiling glass walls spanning almost three decks. Across this expanse, impromptu digital shows come to life in stunning 12K resolution. Lounge Two70° is also home to a troupe of six Roboscreens that stage surprise performances during every cruise, creating scenes while soaring and twisting solo, or uniting as one. 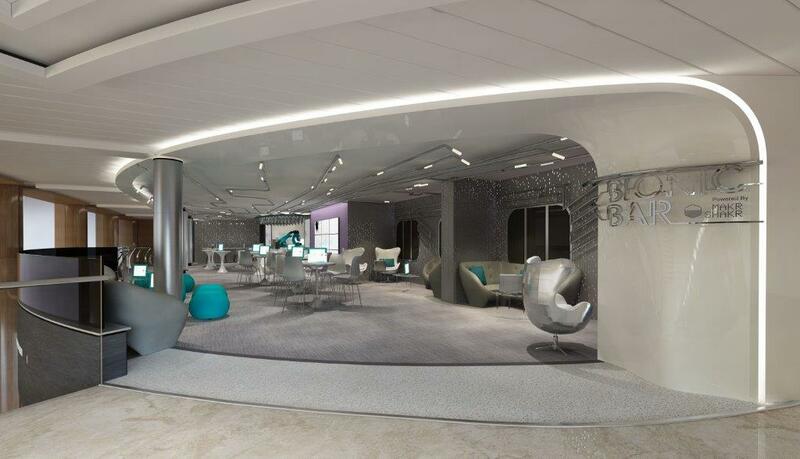 Richard Fain, boss of Royal Caribbean, says that Lounge 270 alone cost more than ‘Song of Norway’, which was Royal Caribbean’s first ship. • SeaPlex, the largest indoor active space at sea, has 18 bumper cars, a circus school with flying trapeze for those who dare, roller skating, a full size basketball court, table tennis, air hockey, badminton and a hovering DJ booth. • Yet more ‘firsts at sea’ with RipCord by iFly, a safe, controlled environment for those who have always wanted to have a skydiving experience at sea, whether first-time flyer or seasoned skydiver. • North Star is an observation capsule swooping guests up to new heights in a jewel-shaped glass pod rising more than 300 feet in the air and extending over the ocean. 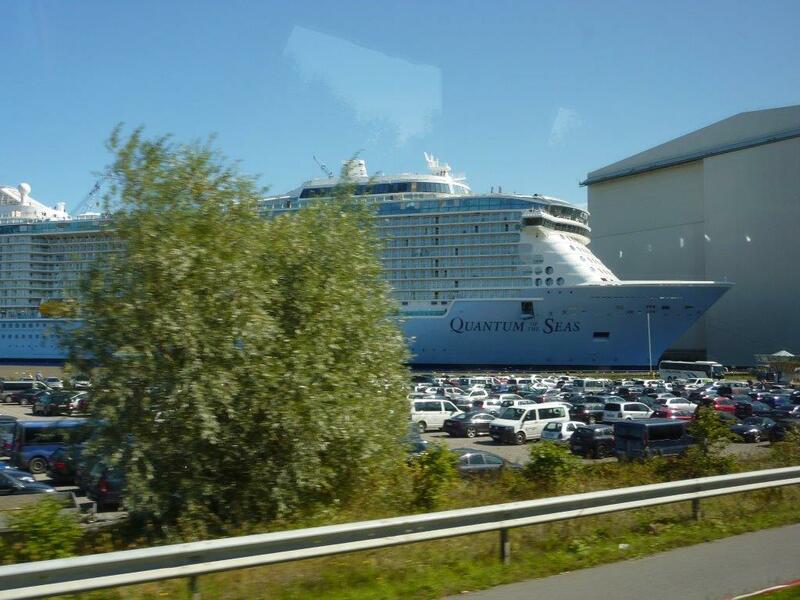 Bandwidth on Quantum class ships will be more than all the other cruise ships in the world combined. Connection will be nearly as fast as fibre and 'better than passengers can get at home'. 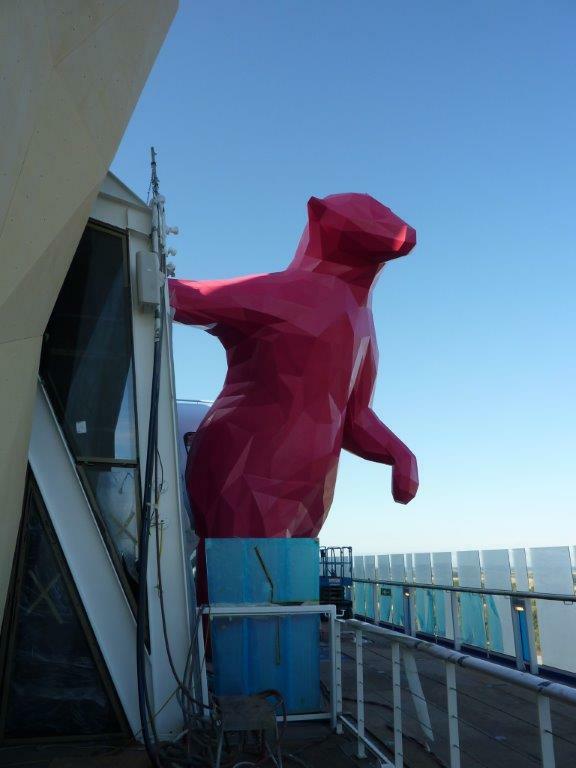 And last, but not least, is the 30-foot magenta coloured polar bear standing on the exterior deck. This is one huge bear, made from 1340 stainless steel triangles, weighing approximately eight tons. The sculpture, created by artist Lawrence Argent, is titled ‘From Afar’ and is part of the ship’s art collection. As MD Stuart Leven says, “Guests on Quantum and Anthem will feel they have been ‘transported to the future’.” He’s not wrong. 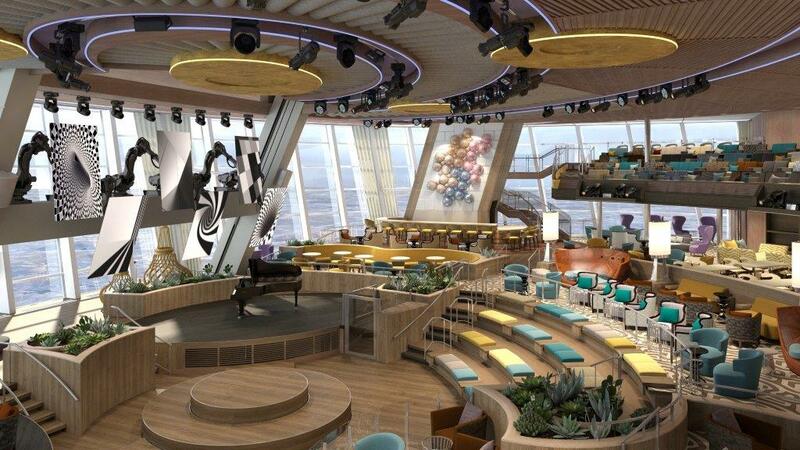 Anthem of the Seas will be based in Southampton from April next year.